The discussion continues and fires up as the next chapter release of the much awaited Hunter x Hunter manga series dawns closer to us. With the last scenes revolving around Kurapika and the Dark Continent Expedition, talks about his abilities scatter almost everywhere. One forum topic caught my eye though — a speculation about the ability that lurks in the chain user's index finger. 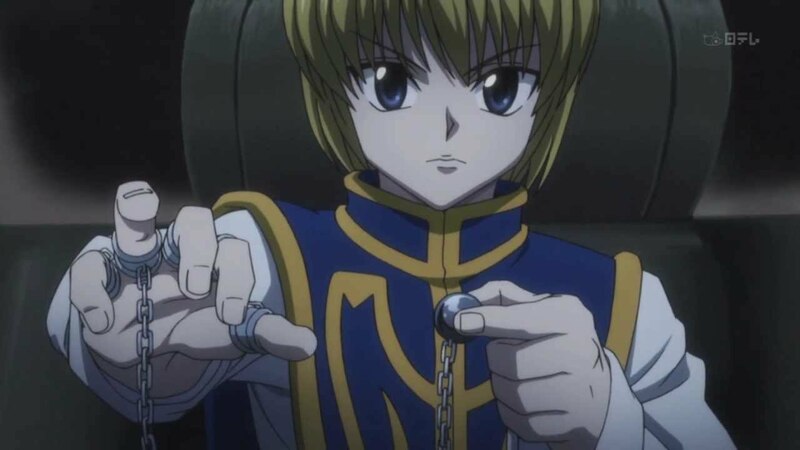 Kurapika and his nen ability - conjured chains. Reddit users have been posting questions about Kurapika's ability for a long time now. The oldest post I extracted dates back to three years ago. We also found this interesting post. The reddit user deduced that the final power could be a Transmutation skill as other nen types were already given. But this deduction of ostam92 raised some eyebrows and probably earned a fair share of nods, too. He wants everyone to look at these scenes from the manga. The first is from Chapter 345, a conversation with Mizaistom Nana when he recruited the Kurta to become a member of the Zodiac. The second is from Chapter 350, when Kurapika tasked Bisky, Basho, Izunavi, Hanzo and Melody to be hired as body guards for 6 Kakin princes. Kurapika was confident that the prince of Kakin would "follow suit". And that if the target is close, he could use his abilities more effectively. In addition, Kurapika also mentioned in the same chapter that even if he could just shake hands with the 4th Prince, that marks the end of the recruited team's job. 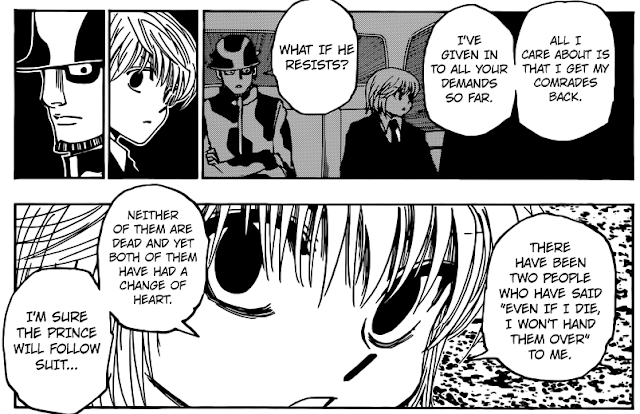 If this means that Kurapika can coerce someone to undergo a "change of heart" using his Hatsu, does it sound like another skill of the manipulation type? Or is he just a torture or a blackmail champ? Well, that's a good way to wake up Hunter x Hunter fans. Scourge the manga series again and maybe we can find more clues. What do you think about the Reddit user's deduction? And speaking of Hunter x Hunter and Kurapika's fans. 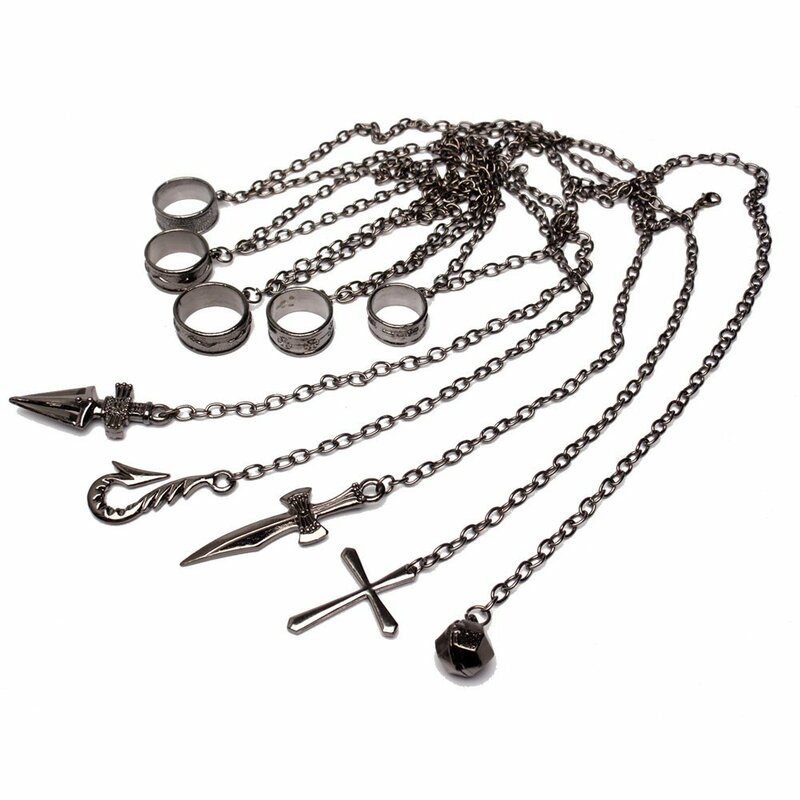 Most of you might want to have those chains embedded in your fingers and hand. Luckily, these chain items are still in stock. Buy Kurapika's Chains now while it lasts!